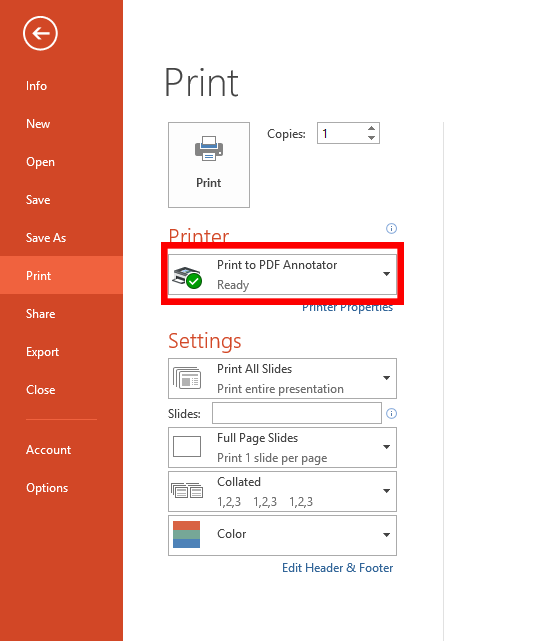 When sharing PowerPoint (PPT), Word docs, PDF files or other documents, you can use PDF annotator which is pre-installed on the room computer to create annotations (mark-ups) on your slides. Open shared files from shared drive, Cybox, etc. Important: Make sure the text within the files uses web safe, common fonts. 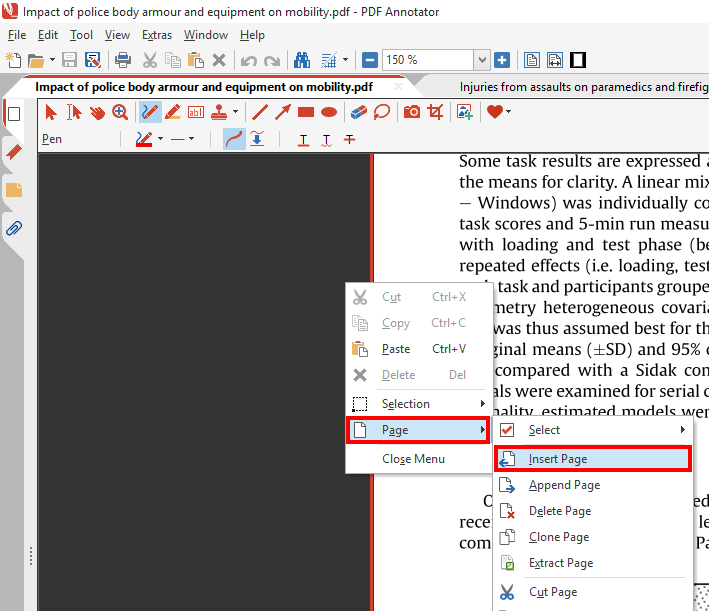 If needed, convert non-PDF files; in Word or PowerPoint, choose File>Print>Print to PDF annotator. Open the file by going to File>Open. You can do this at the start of class if you know where they will be placed. To add a blank page, right-click and choose Insert Page. Change view settings as needed to optimize viewing for students in class and online. Note: Make sure all documents are full screen and zoomed in. 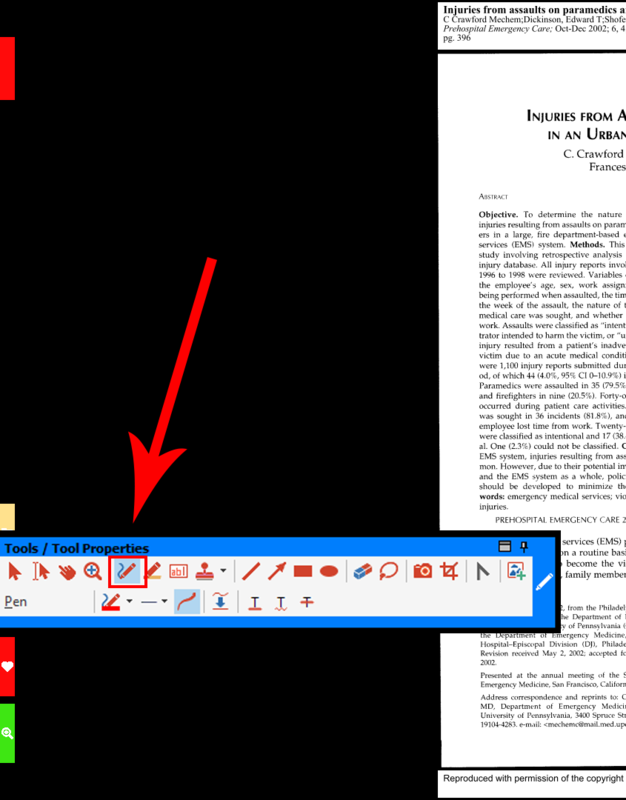 If you need to zoom out or see the document full screen, remember to zoom back in to allow students to follow along. When in full screen mode (View>Full Screen), select the pen tool from the left flyout menu.